infinitee client, BECO Asset, wanted to increase brand awareness about their new, 70,000 SF mixed-use development, Bridgeport Suffolk, at the ICSC RECon convention in Las Vegas. 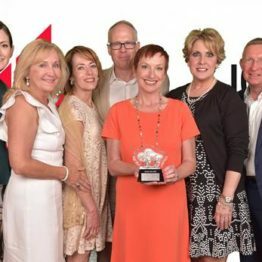 ICSC RECon is the world’s largest global gathering of real estate professionals making it the perfect place and time to announce the project. The goal was to generate leads by capturing device IDs during the conference and remarketing viewers for 30-days post RECon encouraging attendees to submit their emails to download a Fact Sheet and garner interest in the project featuring multifamily, retail, and office components. infinitee capitalized on the opportunity to get in front of a highly targeted audience in one location for a short amount of time. A geofencing campaign was the perfect solution to capture the attention of 37,000 qualified people in 30,000 SF over 3 days. (For those of you who have never experienced RECon… that’s a lot of people in a small space who are on-the-go for 72 hours straight!) We developed a series of 3 brand awareness ads to serve to this highly targeted audience attending the conference via geofencing parameters and captured a pool of device IDs for retargeting. Messages were cleverly developed for maximum relevancy at each touchpoint. New $60 Million Mixed-Use Development. New 70,000+ SF Class A Development. Retail. Restaurant. Office Space. New Mixed-Use Development. Walkable. Coastal. Local. 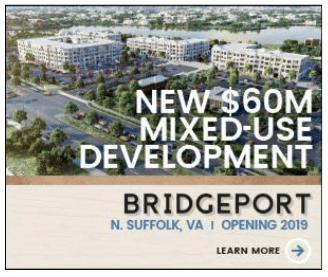 New $60 Million Mixed-Use Development. Download Fact Sheet. 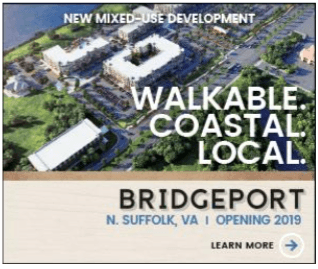 N. Suffolk’s Newest $60 Million Development. (RECON)Nect About Bridgeport. Download Fact Sheet. 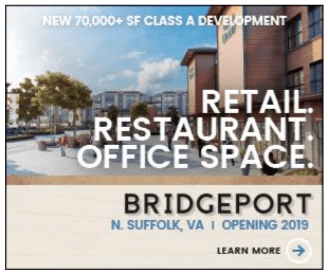 New 70,000+ SF Class A Development. Retail. Restaurant. Office Space. Download Fact Sheet. All in all, the geofencing campaign accounted for nearly half of the development pageviews from May 20 – June 20, 2018 making it a very successful digital campaign! If you have digital or social media needs, email Chelsea Cannon, infinitee’s Director, Brand Strategy, at chelsea@infinitee.com. And that’s a wrap on ICSC RECon 2017!